GREELEY, Horace, a Representative from New York; born in Amherst, N.H., February 3, 1811; attended the public schools; apprenticed to the art of printing in East Poultney, Vt., 1826-1830; worked as a journeyman printer in Erie, Pa., in 1831, and later in New York City; commenced the publication of the Morning Post January 1, 1833, but it was soon discontinued; published the New Yorker 1834-1841; edited the Log Cabin in 1840; founded the New York Tribune April 10, 1841, and edited it until his death; elected as a Whig to the Thirtieth Congress to fill the vacancy caused by the unseating of David S. Jackson and served from December 4, 1848, to March 3, 1849; was not a candidate for reelection in 1848; visited Europe in 1851 and was chairman of one of the juries at the Worlds Fair in London; commissioner to the Paris Exposition in 1855; delegate to the Republican National Convention in 1860 from Oregon, being denied a place on the New York delegation; unsuccessful candidate for Senator in 1861; delegate to the State constitutional convention in 1867; at the close of the Civil War advocated universal amnesty, and in May 1867 offered bail for Jefferson Davis; unsuccessful Republican candidate for election in 1870 to the Forty-second Congress; nominated by the Liberal Republicans in Cincinnati in 1872 and by the Democrats in Baltimore for the Presidency, but was defeated by Grant; died near New York City November 29, 1872; interment in Greenwood Cemetery, Brooklyn, N.Y.
Greeley, Horace. Recollections of a Busy Life. New York: J.B. Ford & Co., 1868. Reprint, a new edition, with a memoir of Mr. Greeleys later years and death. Port Washington, N.Y.: Kennikat Press, ; Van Deusen, Glyndon Garlock. 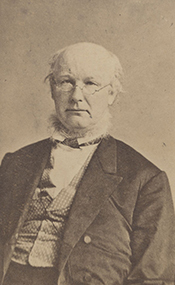 Horace Greeley, Nineteenth-Century Crusader. Philadelphia: University of Pennsylvania Press, 1953.